PCS offers a repair/service maintenance for all of our machines. We carry all components on hand in our warehouses ready to make repairs and replacements as neeeded. Contact us for further details on our Maintenance contract, let us keep all of your compacting or recycling machines operating without hassle. This contract includes labor and material for emergency repairs to the following electrical, hydraulic, and mechanical components of the compactor. 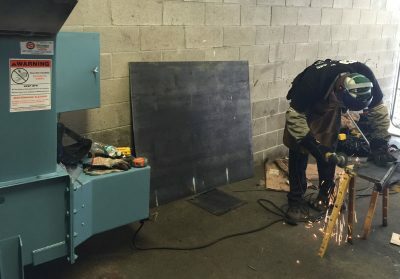 We service, maintain, and repair all of our compactors, chutes, and accessories. If you run into a problem using one of our machines, we want to make it right. Reach out today for a repair quote or just some additional info about our compactor/recycling services.